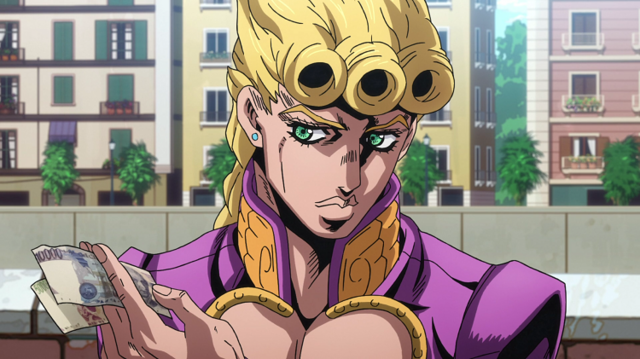 Happy Birthday to Giorno Giovanna, Anime’s Greatest Gang-star! 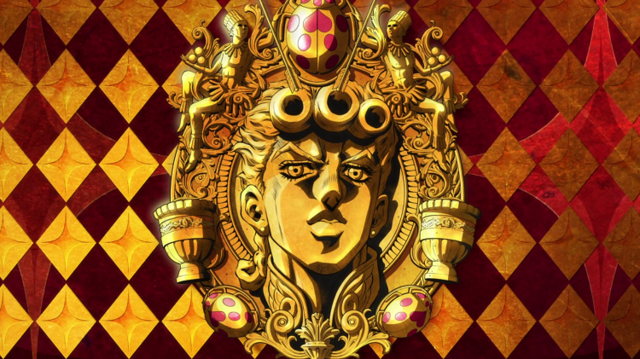 It’s a very special day for JoJo’s Bizarre Adventure fans everywhere today, especially those following along with the anime’s current arc Golden Wind. That’s right, today is Giorno Giovanna’s birthday! Everyone’s favorite mobster was born on this day in 1985, making him 34 years old today. Unfortunately, he’s a bit too preoccupied trying to assassinate his former boss right now to properly celebrate. We wanted to throw him a big party and all, but he just kept going on about Sardinia and cutting off his own hands over and over again. In his stead, let’s celebrate for him! Everyone loves GioGio, and with good reason! So, let’s celebrate with an appreciation post for anime’s most fabulous Gang-star. Just please don’t invite his dad to the party. If there’s one thing JoJo’s Bizarre Adventure is most known for, it’s its fashion-forward characters, and Giorno is certainly no exception. After all, just LOOK at his outfit. Completely unsatisfied with looking like a normal high schooler, he completely modified his uniform into something actually worth showing off. In addition to the numerous zippers he’s added, his outfit practically covers him head to toe in ladybug-themed buttons. Not only do these buttons match the look of his Stand, Golden Experience, for a complete ensemble, they’re practical as well. These buttons have saved both his life and the lives of his comrades time after time (but more on that later). So how much did it all cost, you might ask? Let’s just say you’ll be taking out a small loan for an accurate cosplay. Of course fashion isn’t all about the clothes. Fashion is simply an extension of modern art, and what is art without a canvas to create on? In the world of high fashion, the models are the canvas, and which canvas you choose makes all the difference. And boy what a canvas Giorno makes. Look at that jawline. It’s so solidly chiseled that the statue David quakes before it. A well-placed window in his jacket shows off his muscular décolletage. Does he work out, or is it just genetics? I’m almost afraid to ask. Look at his eyebrows, though. They’re so perfectly cut that they’re (quite literally) drawn on. Oh, and his hair? Exquisite. I’m DEFINITELY afraid to ask how much it cost. A pretty face alone won’t land you a place at the top of the Italian mafia, though. Luckily, Giorno possesses incredible ingenuity far beyond that of his friends and foes. Golden Experience has the power to give life to lifeless objects, and he uses it masterfully throughout the series for a wealth of tasks. When we first meet him, he’s simply using it for petty thievery, turning a tourist’s cash into butterflies for him to catch and Koichi’s suitcase into a frog that returns to him. Eventually, however, he has to figure out how to use his powers in much more creative ways based on the battles in front of him. Before long, he realizes that he can use his life-giving powers to replace pieces of his or another’s body that have been gouged out or severed, such as creating a spare arm from one of his aforementioned ladybug buttons. Speaking of which, he also used one of those buttons as a tracking device to keep tabs on Bruno and Trish when they initially went to meet their boss. This cautious ingenuity allowed them to barely escape that encounter with their lives, all thanks to Giorno. What REALLY makes Giorno so special though is the ambition he harbors and the will that drives him forward. Giorno isn’t content with being a simple lackey or even a capo for the boss. His one and only goal in life is to kill the mafia’s elusive boss and seize control of it for himself. While this might seem like an entirely selfish, villainistic goal, personal gain and glory are the last things Giorno could care for. What Giorno wants is justice. Having grown up in an abusive home, the only protection Giorno found came from a mysterious mafioso whose life he had once saved. 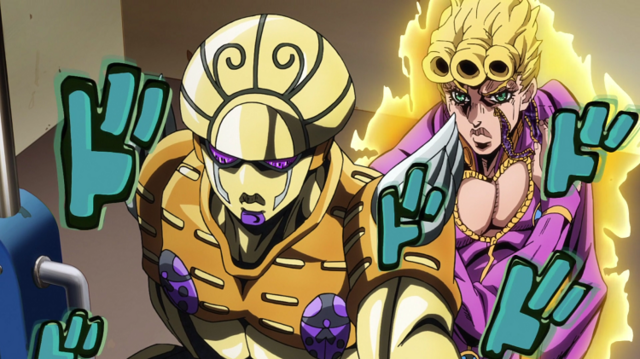 This experience taught Giorno that the best way to punish evil and protect the innocent is through the arms of the Italian mob. While he may not have any sentimental connection to the Joestar lineage, this unwavering morality and pursuit of justice is as much a product of his bloodline as the star-shaped birthmark on his neck. It’s plain as can be why so many people love Giorno. There’s no shortage of reasons why so many JoJo’s Bizarre Adventure fans claim him as their favorite Joestar. Whether it’s for his looks, fighting spirit, or sympathetic search for justice, everyone is drawn to him for one reason or another. The main cast of Golden Wind all come from different walks of life, yet all of them have ended up rallying around their newfound comrade in ways they never anticipated. As fans, we are all as much his followers as they are. And much like the members of Passione, we can’t wait to see him take his rightful throne at the top. 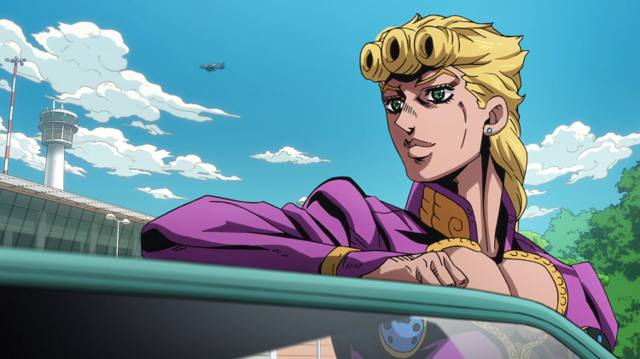 What are YOUR favorite Giorno moments from Golden Wind? Let us know in the comments below! THE GREAT CRUNCHYROLL NARUTO REWATCH Heats up with the Legendary Sannin Battle in Episodes 92-98!